The Del Rio Bar in Ann Arbor, Michigan was a countercultural center and experiment in workplace democracy from 1969-2004. 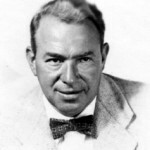 Yip Harburg’s son Ernie was a co-owner and has just written a history of that establishment. It can be ordered via Amazon and other online booksellers, as well as directly from Huron River Press.